Don't like splitting up your huge gang in different hotels when travelling together? We understand it can be very inconvenient. Don't worry about it anymore, and check into this beautiful Portuguese-style bungalow, AE19 by Guesthouser in Mahabaleshwar, which has 5 big bedrooms that can accommodate around 15 people. For a calm and peaceful retreat, spend your weekend getaway at this 5-BHK bungalow by Guesthouser. 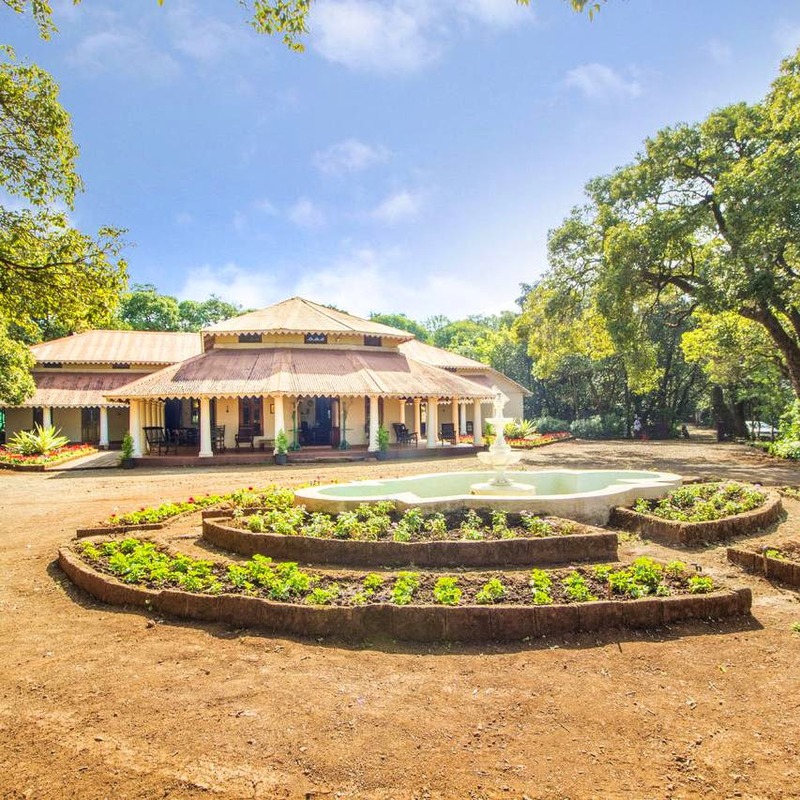 This villa on Sassoon road, Mahabaleshwar has a beautiful Portuguese design with a huge veranda and vintage furniture. Being in Mahabaleshwar, it is obvious that the bungalow is surrounded by different trees and unique plants. The space has a quaint and an old-school charm which makes it an absolute delight. We loved the canopy beds which are extremely cosy and spacious. You can roam in the garden of the property or do yoga on the front porch. If you are a social media junkie and addicted to your phone, here's your chance to get an internet detox and bond with your loved ones instead. In a nutshell, this is a place to be if you are looking for a fun-filled time with near and dear ones. While relaxing in the bungalow would be fun, you can also bring out the explorer in you. The bungalow is located hardly a km away from Venna lake. Hop into your car and visit attractions like Bombay Point, Mahabaleshwar Temple, Lingmala Falls, Mapro Garden, Elphinstone Point, Arthur's Seat, etc. which are situated in the bungalow's vicinity. The mode of payment is strictly by cash. We wish they were flexible with payment options and accepted cards/net-banking as well. We recommend you book this bungalow only if you are sure of your visit as cancellations are strictly non-refundable and full price shall be charged if you cancel or don't show up.